Gather your flexible friends and get ready for a fun holiday in Sicily! 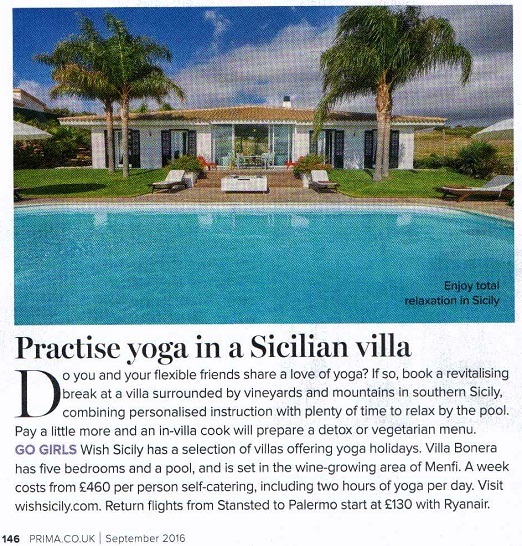 At least that’s the advice from Prima magazine who recommends a Wish Sicily yoga break in its ‘Girls Just Want to Have Fun’ holiday round-up (September issue). The article features Villa Bonera, a gorgeous villa with a pool that overlooks the vineyards in Menfi, but there are 11 other holiday homes to choose from where you can perfect your yoga skills in between indulging in some gentle poolside relaxation. For the ultimate fitness break, choose a villa such as Villa dei Nebrodi (sleeps 20) where daily yoga classes can be interspersed with hiking excursions in the Nebrodi Mountains, or Le Case dell’Etna (sleeps 18), a collection of three villas and two pools situated between the Ionian coast and the activity-packed slopes of Mount Etna. 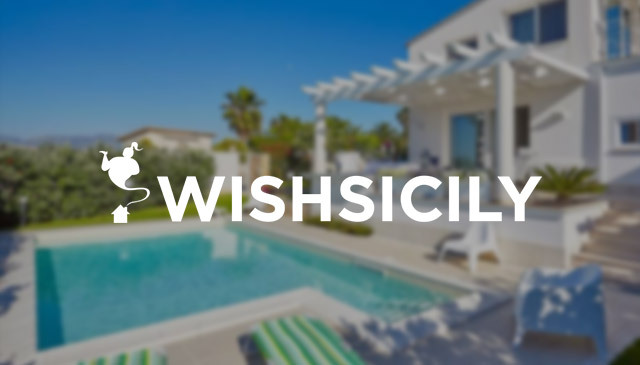 Wish Sicily yoga holidays include a minimum of two hours’ private yoga instruction each day led by yoga teachers Bruno Teyssandier or Erika Iannello. See all our villas for yoga holidays here.